Noel that looks interesting… I will grab a melon-pillow too… or maybe I can sit on it too? 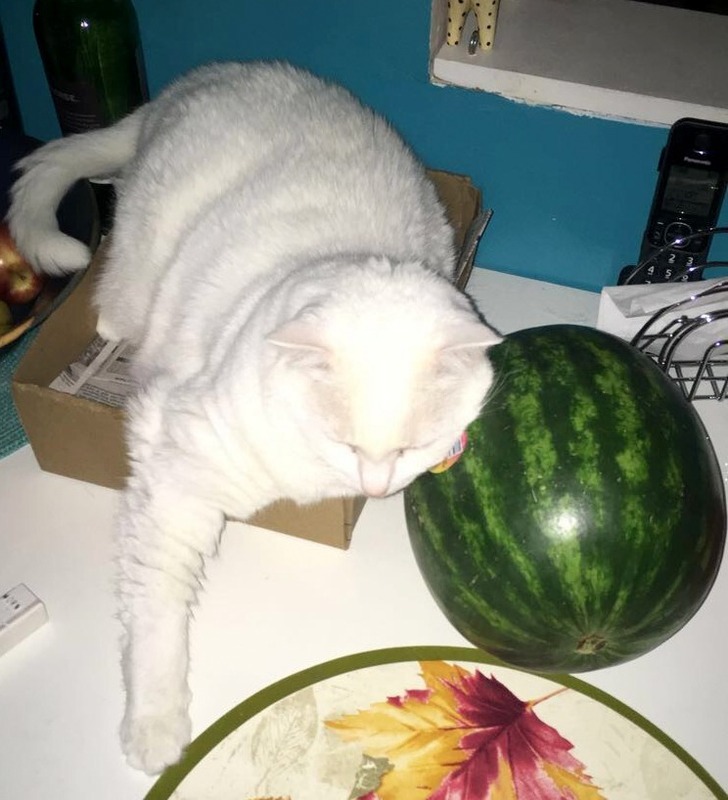 I have slept in some unusual positions and locations, but never on the table in a box with a watermelon pillow…. very original, N.
Yes. Noel is a oner. I’ve never tried using a watermelon as a pillow but I definitely enjoy eating them! Love it! My Bo gets in weird positions, but never against a watermelon! Doesn’t she know that watermelons are for eating not sleeping? Nono doesn’t know much. But she is cute.